Monday nights at Priors Field School in Godalming. Opportunity to progress into Advanced & Academy groups. 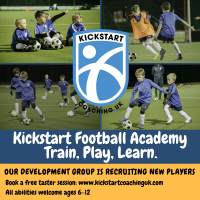 Learn more by visiting our ‘Kickstart Academy’ page online to book a free trial by clicking here.